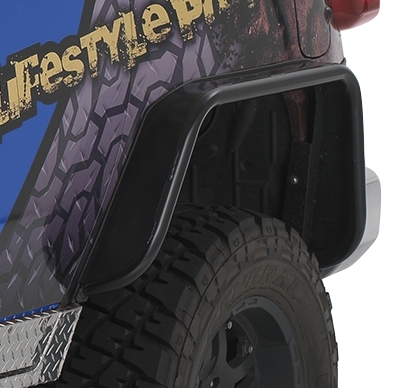 The Rear Corners are 1/8 inch thick and provides structural support to the corner area, also enhances the appearance of the vehicle. These corners fit on FJ Cruiser's with Warrior’s Steel Tube Fender Flares. Rear Corners are available in 3 finishes.